What is an Ambulette, Paratransit, or Non-Emergency Medical Transportation Vehicle? 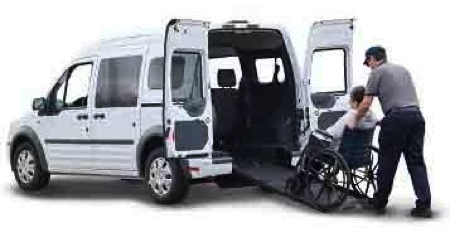 An Ambulette, Paratransit or Non-Emergency Medical Transportation (NEMT) vehicle is specially equipped for transporting persons who are often in wheelchairs to and from nursing homes, adult day care centers, hospitals, medical transportation providers, EMS facilities, group homes, etc. In New York City Ambulettes or Paratransit vehicles are typically for-hire vehicles dispatched by a paratransit base for the transportation of patients. Vehicles such as ambulances or emergency vehicles equipped with lights and sirens which provide medical, paramedical or first aid service are NOT considered Ambulettes or Paratransit vehicles. Do I Need Ambulette, Paratransit or NEMT Insurance? Yes. Ambulette, Paratransit or NEMT Insurance is often required by state or local law and the facilities that contract for the Ambulette, Paratransit or NEMT services. The requirements are typically a bundle of different coverages. The most important coverages include: Auto Liability and Physical Damage Coverage; Workers Compensation and General Liability Coverage. Some carriers require that your company be in business for a certain number of years before they provide coverage. Make sure to consult an insurance agent or broker to provide to advise about the coverage you need. Legal requirements vary from state to state. How Do I Buy Ambulette, Paratransit or NEMT Vehicle Insurance? For nearly 20 years, Pearland Brokerage has provided Ambulette, Paratransit or NEMT insurance quotes. Our experienced insurance brokers have a complete understanding of the insurance requirements for Ambulette, Paratransit or NEMT Vehicle owners. We quote Ambulette, Paratransit or NEMT Vehicle insurance coverage through all the major carriers to find the right insurance policy for you. Email us at Help@PearlandNY.com to get your free quote today.